Do you own a small business and want to promote it through online marketing or online social media? It’s easy. 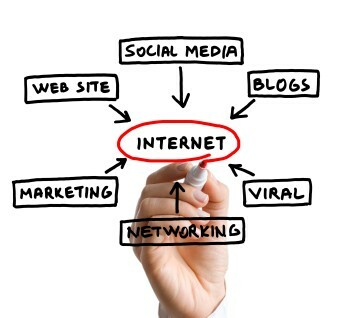 However, the best way to promote your business is to follow some basic and effective online marketing tips. These tips can easily propel the presence of your business in the web and help in reaching the targeted audience. Objective or Goal: Having an objective is important and you should consider it before you make your online marketing strategy. Once you have the objective develop the strategy accordingly to drive more business. Website Design: Creative and appealing design plays a significant role in attracting visitors. So, always seek the assistance and guidance of some highly creative and professional web designers to build a website or design the logo of your company that best reflect the motto or ethics of your company. Content – In the online marketing world ‘Content is King’. Beautifully and precisely written description about products and services help readers in taking decision. Nowadays, businesses seek the assistance of SEO content writers to develop or create content that are search engine friendly. Whatsoever, it is highly important that you should always use unique content and avoid plagiarism. Moreover, keep on updating info on your website to inform readers about any recent development or launch of products. Title Tag: The title tag helps search engines to crawl the website and makes it easily accessible to visitors and search engines. The title tags are keywords that help a website in search results thus providing information to searchers. Choosing the right title tags is one of the effective and faster way to get favorable treatment by the editors. Analytics and tracking: It is important to analyze and measure the amount of data that usually include website visitors, bounce rates, geographical visitors, views of pages, time spent on your site etc. For such purpose you can consider the Google Analytics available absolutely free and easy to under. But proper Analytics you can understand and optimize your website in a better way. Business directories: Taking help of Craigslist or business directories is indeed a good idea. Such sources are available easily and absolutely free with which you can get your business listed in so that visitors can easily find you. Analysis of the competition. To excel in the online business, you should also monitor on your competitors’ websites and marketing strategies. Try to understand how you can better perform than your competitors or what technology they have chosen to promote their services or products. Interactive website: It is very important that your website should be user-friendly or interactive. A website is well liked by visitors when they find things simple and easy. So, if you are developing an e-commerce website just ensure that the website is easy for the users/customers to use or shop. Social Media Marketing: Socialize your website with the help of easily available social media networking tools as they help in promotion and also drawing huge traffic to the website. Social media marketing is also an effective online marketing strategy that demands extensive analysis and research and can bring good ROI.